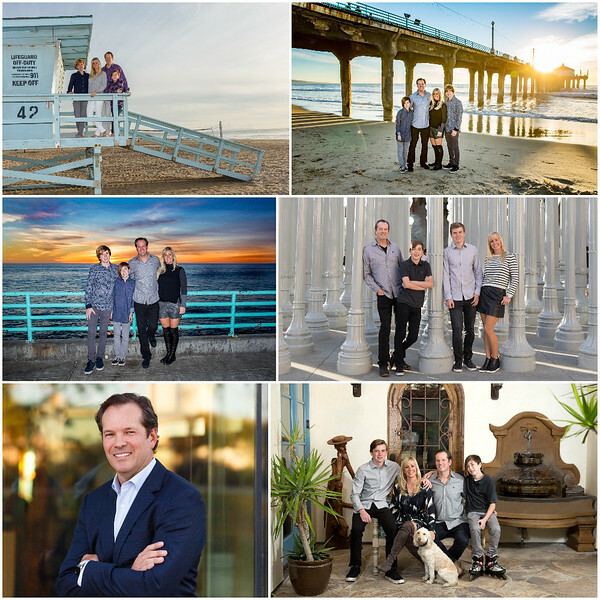 My family and I have been loyal customers of Robin’s since we moved to Manhattan Beach in 2014. She has done family portraits for us every year, and also done corporate “head shots” for me to use with my business, in the press, and on social media. When working with a photographer, my primary requirements are innovation, creativity, and flexibility. The last thing I want is another boring, typical shot - either in business or with my family. Robin has truly been a joy to work with in this regard. She has shot us on the beach, at the LA Country Museum of Art, and at various locations around our home town of Manhattan Beach. We get endless compliments on the creativity and originality of the photos we use both for our family portraits and for business. And through numerous photo shoots, driving to various locations, Robin has been unfailingly enthusiastic and cheerful as she works with us to produce incredible results. Her technical ability goes without saying, and it’s the creativity, enthusiasm and fun that are critical ingredients in a successful and beautiful image. I recommend her without reservation.